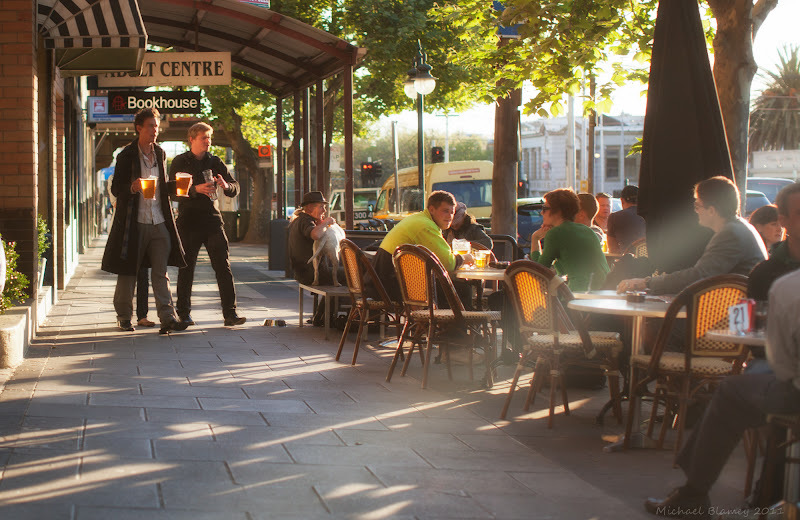 My favourite spot in the world - Fitzroy St, near the beach, on the tables outside, surrounded by loads of people. But I would prefer hotter weather. Assuming the Greens carbon tax has no impact our temps should in fact increase by a couple of degrees by the end of the century - but you want something sooner I think?